Indeed, after a world premiere production at the Arena Stage in Washington, D.C. in the summer of 2015 and an off-Broadway premiere with Second Stage Theater in the spring of 2016, Dear Evan Hansen would be found and greenlit for a Broadway transfer. Officially opening at the Music Box Theatre on December 4, 2016, following previews from November 14, the musical snowballed into becoming the most hyped and talked about hit of the season. With the small cast of eight constantly engulfed on stage by Peter Nigrini’s projections from various social media outlets, the idea is so cleverly staged: despite the endless opportunities for interconnectivity in a virtual world, we are frequently left alone and isolated as human beings in the real world. 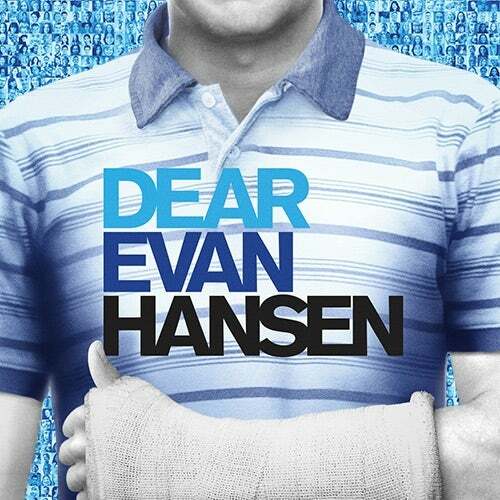 The central character of Evan Hansen embodies this as an instantly recognisable outsider at High School, but the musical’s appeal breaks into other demographics through the portrayal of Evan’s mother, Heidi, and Connor’s parents, Cynthia and Larry Murphy. Whether they are a single parent or desperately struggling in a relationship, their sense of loneliness is equally palpable. The themes of loss, regret and trying to find our place in the world are so universal that teenagers, adults and seniors alike will have no choice but to relate. With a non-traditional, Tony Award-winning score from the young and supremely talented duo of Benj Pasek and Justin Paul (who are also Oscar winners behind the smash hit “La La Land,” as well as "The Greatest Showman"), the musical’s soundtrack has broken out of the Broadway bubble and has ranked in the Top 10 of the Billboard charts. It features hits such as “Waving Through a Window,” “Requiem,” and “You Will Be Found,” and each number has its own unique feel as if written by the individual characters themselves as singer-songwriters. The score alone sets Dear Evan Hansen apart as a marvel of modern musical theatre and offers a perfect opportunity to break in a friend or two, who may be completely new to the world of Broadway and suffers from the narrow-minded opinion that everything is show tunes, jazz-hands and tap shoes. Dear Evan Hansen made a bona fide star out of original cast member Ben Platt, who deservedly picked up the Tony Award for “Best Performance by an Actor in a Leading Role in a Musical” for his efforts, and we are sure that many leading, young men will be found and will rise to the occasion in the years to come. Sincerely, the New York Theatre Guide. You have been found! 16 year old Andrew Barth Feldman, currently a student at Lawrence Woodmere Academy in Woodmere, NY., makes his Broadway debut in the title role of Dear Evan Hansen at the Music Box Theatre tonight. Taylor Trensch played his final performance in the role on January 27. 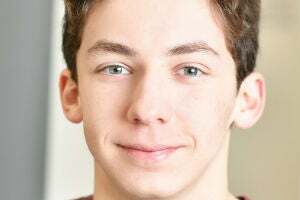 16 year old Andrew Barth Feldman will make his Broadway debut while still in high school, playing the role of Evan Hansen in Dear Evan Hansen at the Music Box Theatre. Winning best performance by an actor at the 2018 Jimmy Awards, which celebrates musical theatre in high schools, Feldman was later called to audition for the role. The role of Evan Hansen is currently played by Taylor Trensch, who will make his last performance in the show on January 27, 2019. Feldman will then take over the role, with his first performance on January 30, 2019.